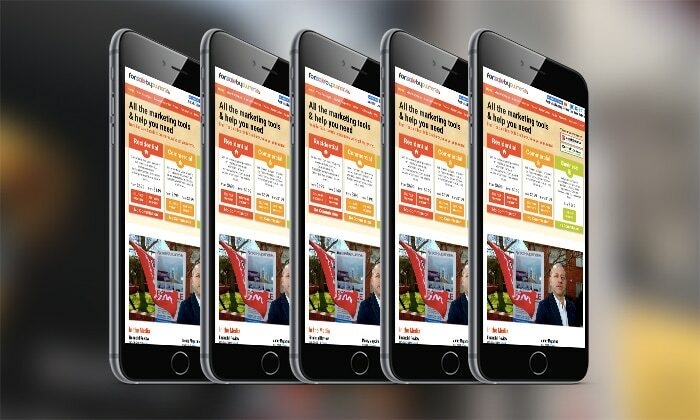 From the moment you sign up, you'll be able to start creating your advertisement within five minutes, and can be on sites like realestate.com.au within a few hours. Here you'll find any questions you may have about the signup process. What can I expect when signing up? After filling in your details you’ll be taken to a shopping cart for payment. As soon as your payment has been processed you’ll receive an automated email from us with details on logging in and creating your listing. You can start creating your property listing within five minutes of signing up, at any time of day. We use PayPal, the world’s biggest and most secure online payment processor. We do not collect or have access to any of your credit card details; these are processed by PayPal on their systems, and we simply receive confirmation from them once a payment has been successfully processed. Do I need a PayPal account to make a payment using my credit card? No. PayPal is simply the company we use to process payments. If you do not have an existing PayPal account, you will still be able to use your credit card to make the payment. What details will appear on my credit card statement? The name displayed on your transaction records will be ‘FORSALEBYOW’. Yes. In your shopping cart, you’ll see a link about paying via EFT. Simply click this link and a unique reference number will be generated. This page also has our bank details. Once a payment is received, we will be able to link this to your signup, and will manually send you a welcome email containing all the details you need to login and create your listing. I have paid using EFT, can I get started start away? Yes. It usually takes one business day for funds paid via online banking to appear in our account, but if after transferring funds you send us a screenshot confirmation of payment, we’ll be happy to send you your login details before these funds are received, so you can get started with your listing. No. Our packages clearly state what in included in the one off sign-up fee. There is no more to pay! No. We don’t charge commission. It’s just one simple payment depending on the package and that is all you pay. You control your listing. Our systems and proprietary software allow you to login to your account with us and make any changes to your listing 24/7 from any computer connected to the Internet anywhere in the world. As soon as you have signed up, you’ll receive an automated email reply from us. Simply click on the state in which your property is located, and you’ll be taken to a page where you can choose your own username and password. As soon as you have selected these, you can login and start creating your listing. The system is straightforward; you’ll see where you need to enter the number of bedrooms, where you can upload your photos etc. Can you help me upload my listing? We’re more than happy to. One of the things our customers most love is the fact that they have complete control over their listing as it appears on sites like realestate.com.au However, we realise that not everyone feels completely comfortable with computers, and we’re more than happy to help you not only create your listing but edit this for you as well, anytime you’d like to make changes. I want to change something in my listing, how do I do this? Simply login to your account with us 24/7, change whatever you would like to change and hit submit. It’s that easy! Do I need to tell you when I have made changes to my listing? No. Your listing will be updated on our system automatically. Can I prevent the complete address of my property from being shown? Yes. Under the address details you’ll be able to select either ‘All Address’ or ‘Suburb Only’. 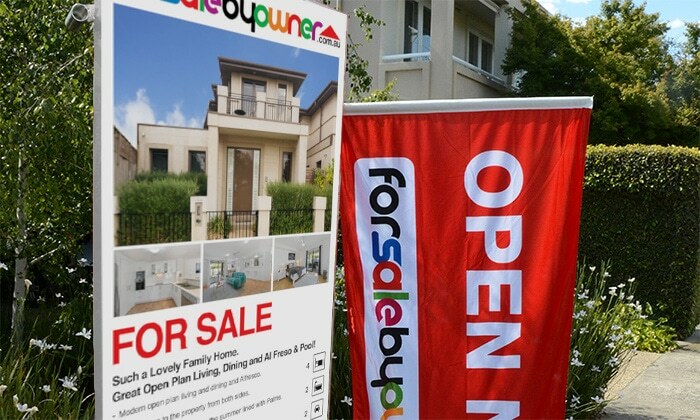 If you select ‘Suburb Only’, it will display on sites like realestate.com.au as ‘Suburb, Address available on request’. What is the difference between ‘Price/Search Price’ and ‘Displaying Price’? The search price is the price range you give which affects whether or not your property comes up in searches when a buyer enters a specific price range in a search. For example, if you select $500,000 – $600,000, your property will come up in the results if this criteria is relevant to the buyer’s search query. The Display Price is what is shown instead of the actual price, should you want to over-ride this. For example, say that you’ve priced your house at $500,000. You want your property to be found when someone does a relevant search, but you prefer to display the price differently, e.g. ‘Negotiable’, or ‘POA’, or ‘$500,000 Plus’. In this case, you would use the ‘Displaying Price’ to show this instead of the actual price. Our system allows you to upload 30 images, although realestate.com.au and domain.com.au will only display a maximum of 27. In addition to this, you can also upload floor plans, multi-media (interactive floor plans and property videos), although where this will be displayed varies from website to website. What photo is used as the main image? When you’ve uploaded your photos, they will be displayed in your account as thumbnails, numbered from 1 onwards. Simply drag and drop your main image into position 1 and this image will then appear on all sites as the main image. I want to temporarily withdraw my property. How can I do this? Please contact us using the ‘Existing Client’ option under ‘Contact Us’. How do I mark my property as ‘Under Offer’ or ‘Sold’? Automation done to perfection! Our enquiry handling systems ensure fast, efficient, and accurate processing of all enquiries in real-time, and without intervention being necessary by us. What happens when someone makes an online enquiry for my property? 1. The enquiry will be forwarded to your email address in real-time. 2. You will receive an SMS with the name, phone number and email address of the buyer. 3. The buyer will receive an automated email with your name and phone number. What happens when someone phones up about my property? We will pass your contact details on to the buyer, and will send you an SMS or email, with the details of the buyer. What happens when someone asks specific questions about my property? We will not discuss any details of your property with a prospective buyer. Buyers will need to contact you first. Can I see how many views my property has had? 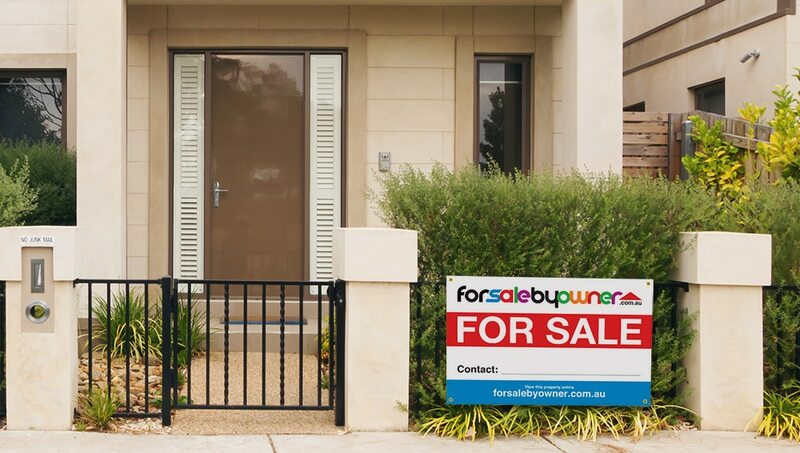 Yes, but only on realestate.com.au and forsalebyowner.com.au, as portals like domain.com.au don’t make this information public. On realestate.com.au, simply click the ‘Show Page Visits’. This is located to the top-right, above your thumbnail images. 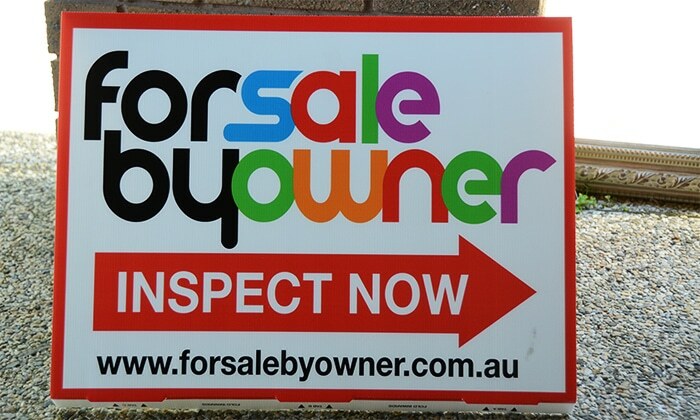 On forsalebyowner.com.au, simply click on ‘Property Stats’, to the right of your property images. In addition to this, you’ll receive an automated email from realestate.com.au once a week, which has details about your campaign. This report includes the number of views for that week, the number of enquiries sent through, the number of times people have used the ‘Tell a Friend’ link, and the number of people who have saved or bookmarked your property for future reference. 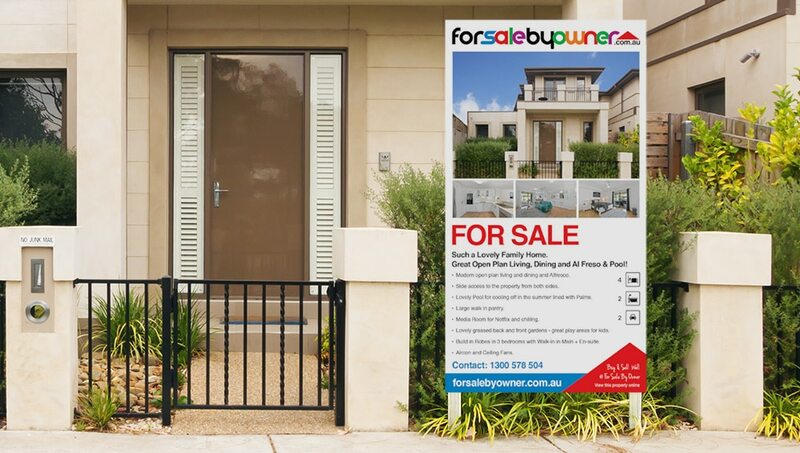 It's a great idea to have a 'For Sale' board outside your property. It helps buyers identify the property and also lets the neighbourhood know you are selling. Here you'll find answers to questions you may have about our boards. What does the standard ‘For Sale’ board look like? the standard board can be seen HERE. How big is the standard ‘For Sale’ board? Approximately 600 mm x 900 mm. Please allow up to three days. However, in the vast majority of cases, you should receive your board in just one or two days. Can I have my board delivered to a different address? Yes. 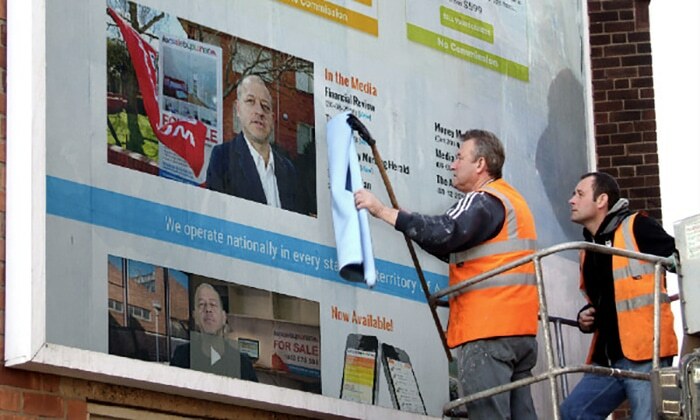 It’s quite common that people would like their ‘For Sale’ boards delivered somewhere else. After signup, we’ll send you an email asking you to confirm the delivery address. Yes. $270 Just call the office. Can I buy pointer boards with ‘Open For Inspection’? Yes. Please contact us for these. What does the full photo-board look like? We’ll be in contact you with regards to getting a proof ready, with the image(s) and text of your choice. We’re happy to give you as many proofs as you need and for you to make as many changes as you like before the board is printed. Will the full photo-board be installed for me? Yes, if you have ordered your board with installation. We will send someone out to professionally install this for you. Once you have approved the final proof, we can usually get someone out the next day. I don’t need a ‘For Sale’ sign. Can the price of my package be adjusted accordingly? 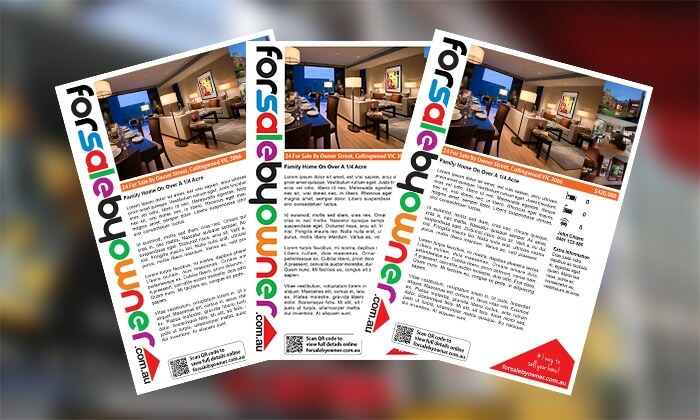 We supply you with a print-ready PDF brochure of your property and contact details. These brochures are ideal to hand out to buyers at inspections, or simply to drop in a few neighbours' mail boxes to generate more local interest. A professional marketing tool to give each prospective buyer. What do the property brochures look like? How do I create my Property Brochure? On logging into your account, you will see a link to the brochure generator. Will I receive brochures by post? No, the idea of the brochure is that it is a print-ready PDF file. This means you can have it printed at your local printer, or you can print it off from your own computer. But we do not send printed, physical brochures to you. Our property reports will give you lots of valuable information about property prices in your area. The more information you have the more powerful you are. 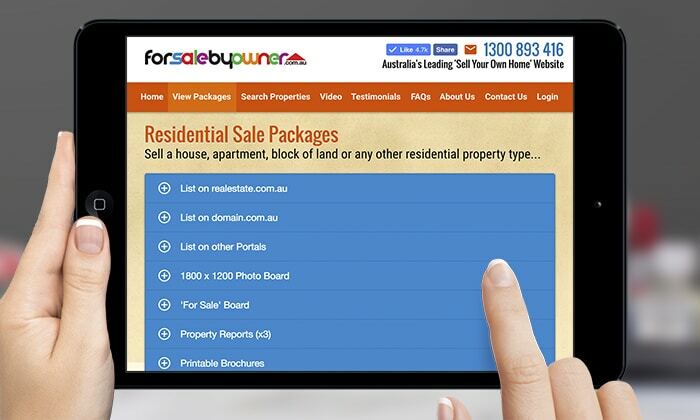 The property reports you will receive list actual sales data for your street and suburb over the last 10 years or so. How are the property reports different from those available on the Internet? Unlike free property reports which show basic and very general information about suburb demographics, changes in median prices etc., our property sales reports show, amongst other things, actual sales data for your property, properties in your street, and properties in your entire suburb, going back 10 years. The reports will show dates and actual sales prices. 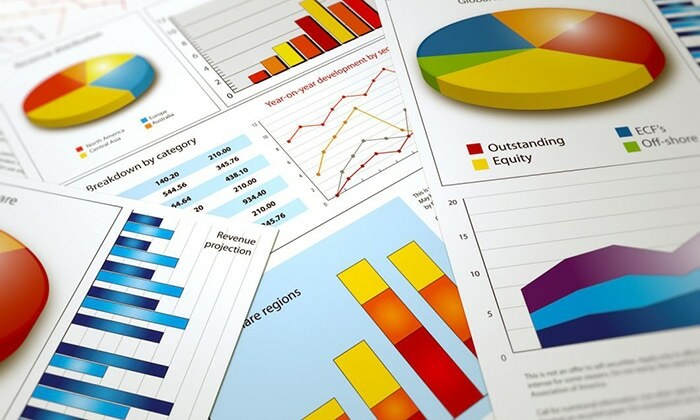 These are the same reports that many estate agents use when creating an appraisal for a property. A few general questions about using our services. Can't find the answer to your specific question? Get in touch and we'll be more than happy to address any and all questions you may have. What is the best way to contact you if I need help? We’re available to help you by phone almost 20 hours a day, 7 days a week. You can call us on 1300 893 416, or phone one of our on-call staff. In addition to this, we offer support via e-mail, call-back and live chat at pretty much all hours of the day or night. Can I use your service as well as a real estate agent? There is nothing to stop you from doing this, as long as the other agent agrees to this. We do require a general authority but no commission is payable for our service. All we charge is our package fee. Where can I locate a solicitor or conveyancer to assist me in the sale of my property? We recommend that you get a conveyancer to prepare all the documents you require. When a buyer views the property and wants to make an offer it’s a good idea to be prepared with all the documents you need. If you are unsure about who to appoint on your behalf our panel of experts will assist you in finding one. Our contract with you is until SOLD or withdrawn and then you need to mark the property accordingly. You can do this by simply logging into your account and changing the status. Can I upgrade from the Essentials to the Essentials Plus+ package? Yes. You can upgrade quickly and easily. Once upgraded we will contact you with regards to getting your 1200 x 1800 photo board designed and installed or sent out to you.